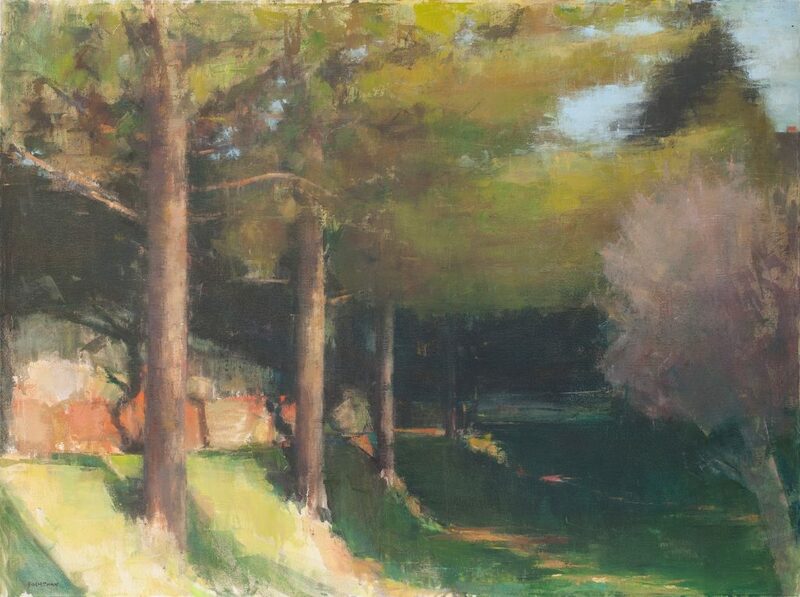 This painting, Deep Shade II, attempts to capture the richness of color and nuances in value that occur with late day light. Using several layers of paint to achieve the final result creates an interesting build up of colors and various levels of opacity, ultimately adding depth to the image. In it’s final state, Deep Shade II evokes a little mystery and perhaps a desire to go further into the painting.